Tomei began operations in 1968 as a race car tuner in Japan. Over the last 40 years Japan has emerged as one of the leaders in automotive research, racing, and culture. Tomei products have been utilized in nearly every motor sport imaginable. Tomei's racing heritage means their research and design team have first hand knowledge of the extreme demands racing puts on an engine. Using only the highest quality materials means that Tomei's products can handle the intense strain and heat a purpose built engine will experience whether it be on the street or the track. Tomei's attention to detail is second to none. All of their products are thoroughly researched and engineered to achieve optimal efficiency. Because of even miniscule differences in measurements can cause catastrophic engine failure, all Tomei products fall within strict tolerances. Tomei machines all of their engine components to enhance airflow and ensure proper fitment and seal. From the factory an engine is usually equipped with a camshaft that sacrifices low-end torque and top end power to focus on smooth idle and fuel economy, neither of which are a primary concern in high performance or race applications. Upgrading your camshaft is the single most effective way to change how your engine behaves throughout the RPM range. The camshaft controls the duration, lift, and overlap of the intake and exhaust valves opening. Tomei's Camshafts are designed to help your engine flow more air faster, the basic recipe for Horsepower and Torque. This increased volume is achieved by increasing how long the valves stay open open, how far they open, and their overlap. 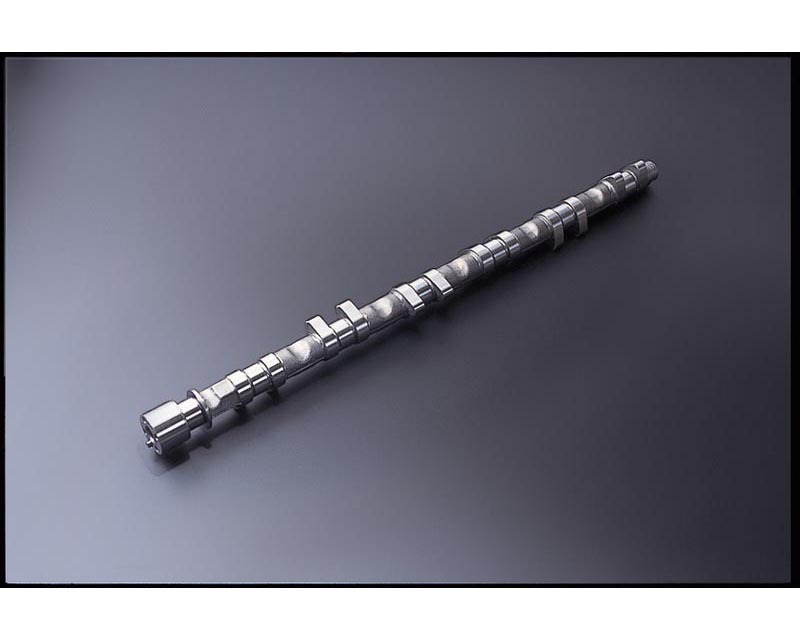 Selecting the proper camshaft for your particular wants, needs, and engine set up allows you to maximize Torque and Horsepower in whatever range is most beneficial for your particular driving or racing style. Tomei Camshafts undergo a vigorous research and development process to maximize horsepower and reliability. All Tomei Camshafts are CNC machined to guarantee a precise fit and proper valve lift/duration. Tomei's Poncam line is designed for drivers whom desire an increase in horsepower and torque without sacrificing drivability. Tomei Poncam camshafts are perfect for a daily driven street car. These easy to install camshafts are built to suit the stock valve train and ECU. Does not require any additional Tuning. Mr. Seiichi Suzuki initially forged Tomei is a tuning factory for race cars back in 1968. From that day on, Tomei achieved excellent results in various motor sports categories. Tomei was then recognized for its technology, performance and reliability that we had cultivated into our own design products and had a large support base from motor sports end users and tuners. With the new market trends and demands, motoring enthusiasts wanted better performance to suit the new modern lifestyle. This trend helped set the stage where originality can play an active part in the motor sports scene and personal motoring lifestyle.